Do you remember Ebenezer Scrooge from Charles Dickens’ classic tale, A Christmas Carol? Somewhere along the way, this crotchety old man lost the “light” that was his very reason for existence. The ghosts who visit him on Christmas Eve re-connect him with what he could have been, or perhaps what he was meant to be. I’m sure that none of my readers are crotchety, but it’s entirely possible that the slings and arrows (sorry to mix British author metaphors) of life in academia have caused you to lose touch with the all the sense of potential and excitement that you had when you started on your academic path. In this spirit, Academic Writing Club Coach Rebecca Schwartz-Bishir has written the following piece to help reconnect you to your own reasons for being an academic. No matter what your religious beliefs, I think that as an academic, you will be able to identify with Rebecca’s message. Has Your Light Been Snuffed Out? This is how Charles Dickens describes the Ghost of Christmas Past, the second of the four ghosts who visit Ebenezer Scrooge on Christmas Eve. This Ghost showed Scrooge the promise and excitement of his earlier life, represented by a beam of light. At the end of Scrooge’s visit to his past, overwhelmed by all he has seen, Scrooge tries to snuff out the Ghost’s light and plunge himself back into darkness. …though Scrooge pressed it down with all his force, he could not hide the light, which streamed from under it, in an unbroken flood upon the ground. Think of yourself as arriving for your first day of graduate school, filled with that inner light. Has a Scrooge-like academic environment made you see your daily life in academia through dismal, dark lenses? As a coach, I prefer to look at the present rather than the past. Today, however, I’m going to ask you to look back at your academic life very briefly and remember your own inner light – the excitement and promise that brought you to your chosen field. This light can illuminate where you are in your writing progress, and show you how you can become more productive. When students come to graduate school they are bright, energetic, and passionately interested in their areas of study. Most are full of the life force that could make them successful. The same is true of junior faculty, and faculty who are starting new jobs. Unfortunately, for many of these academics their experiences are very much like that of the Ghost of Christmas Past: they feel Scrooge, who can be seen as a metaphor for academia — squashing the light out of them. These academics start to wonder about themselves because they feel lost in the dark, ignored, and even abandoned; many question whether they belong in academia. These people begin to feel that the talent, hope, and energy they brought to the hallowed halls of academia—the light they have to offer the world—is being snuffed out. The truth is that there are many things that can get academics down and derail their writing. The cost of school (or the low salary if you are junior faculty or a post-doc), the isolation, nasty politics, personal challenges, and the fear of a thousand what-ifs (“What-if I never finish writing this?” “What-if I never get a job?” “What-if I wind up a bag lady with seventeen cats?”), can make a person dispirited. If you feel this way, you are not alone; you just need to know what to do about it. The following steps can help you re-connect to your light, which will stoke the fire that drives writing progress. Reconnect with that burning, creative, and bright light that brought you to academia. Write down what interested you in your field and why you cared enough about it to devote yourself to it. Read this on a daily basis. This behavior will make it easier to stay reconnected with your light. Let your light guide your progress. Authentic interest and desire are powerful forces that energize people and help them accomplish goals. By reconnecting with those forces it is possible to do creative and difficult things, even under terrible circumstances. For inspiration, you might think about jazz trumpeter Louis Armstrong; better yet, listen to some of his music. Among the things he had to overcome were painful poverty and overt racism, and at any time he could have allowed these forces of darkness to smother his brilliant musical light. Instead, he nurtured and connected to his talent on a daily basis. Armstrong’s achievements prove that one’s inner light can shine in spite of the darkness that surrounds it. Don’t go back into the dark. 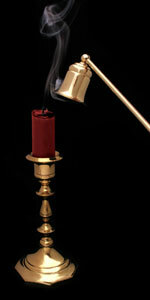 For some of you it may be difficult to throw off Scrooge’s snuffer; for others, it will be hard not to put it back on. If you find yourself switching your light on and off, talk to those who might be able to lend support. Advisors, colleagues, and friends may be helpful. You may also consider joining the Academic Writing Club or getting individual or group coaching. Unlike your committee members and friends, the Writing Club will promote daily accountability in your life, nurture the process of daily writing, and will provide support and encouragement. Academic Ladder groups do not consider the content of a participant’s writing, but rather the process of writing and of accomplishing goals. This approach quantifies time rather than words, paragraphs, or pages; offers methods for organization; and fosters a productive and mutually supportive community of other hard working academics. Coaching has already helped many people reconnect with and cultivate their light. Be reasonable. As you buckle down to the daily writing process that is part of a successful academic’s life, do not expect to sit and write for hours at a time. If you do, you’ll be Scrooge’s accomplice. Start with small goals, such as 30 or even 15 minutes a day for five days a week, and then meet that goal. Accomplishing your daily goal will make what was formerly unbearable tolerable, what was boring more interesting, and what was slow a little bit faster. Looking at the near future, many of you will soon start a holiday break. If you are feeling burned out, give yourself permission to take time off from work – and do so guilt-free! Think of this as an investment in your work. Resting physically and mentally over the whole (or part of a) break can be what carries you through the long haul. And remember, when you return to your work, start out slowly with a short session. Just re-reading what you had written before you started your break is a good first step. Set aside a small, reasonable period of time every day to work (see #4 above). Some people will specifically state their goal is just to “touch” their work each day or not to go two days in a row without writing. Don’t think of this time as something oppressive. See this of it as a gift you’re giving to yourself and honoring your commitment to being a writer. Remove yourself from others during your planned work time. Go in another room, or perhaps even leave the house and go to a local library or coffee shop. Perhaps you can plan to work before everyone gets up or after everyone goes to bed. Tell friends and family ahead of time what your work schedule will be, and anticipate that you will need to remind them as your work time draws near. Once you’ve completed your writing session, enjoy the rest of your day unburdened and guilt free! Scrooge was not able to blot out the Ghost’s light completely. In the same way, you still have your light burning deep inside. 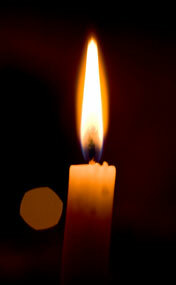 I urge you to let your light shine right away: Don’t put it off until some special day! If you do, the unfortunate truth is that that chapter, article, or book may not be finished in time. It may sound paradoxical, but Scrooge (academia) won’t wake up or redeem himself without your light to guide the way for both of you. Let your light shine, and let it light your way.